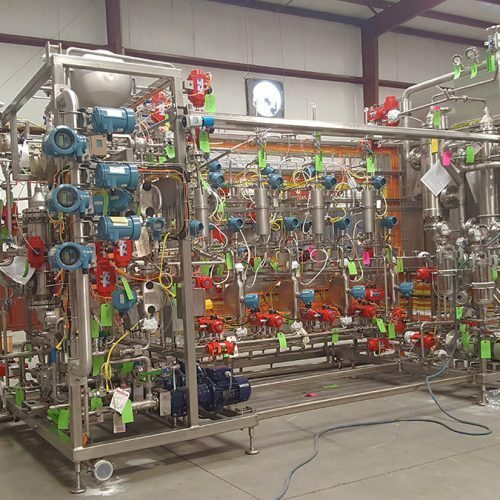 Established in 1993, TQ Constructors, Inc. offers full-service design, engineering, and fabrication of specialized process systems, piping, and modular skids for a variety of demanding markets. It is TQ’s mission to be the most preferred high-purity design-build contractor in the U.S. From our four facilities in Dayton, Kentucky and Miamiville, Ohio, we serve large and small customers throughout the United States.  As a proud member of the American Society of Mechanical Engineers (ASME) BPE Committee, we excel in fabricating components, systems, and skids to the highest standards. TQ operates three facilities in Dayton, KY and one in Miamiville, OH. Three of TQ’s four facilities are dedicated to stainless steel fabrication, eliminating the potential for carbon steel contamination. TQ has five Class 10,000 clean rooms, used specifically for high-purity applications. TQ also has extensive calibration, testing, and passivation space. In some cases, TQ is even capable of performing full product-making and batching tests. The entire team at TQ takes safety very seriously, and our outstanding track record for project safety speaks for itself. We have an excellent safety training program that emphasizes consistent ongoing education to minimize hazards and keep our employees as safe as possible. Our goal is to ensure we’re delivering total quality in process systems, process piping, and skids while sending each of our technicians home safely to their families every day. 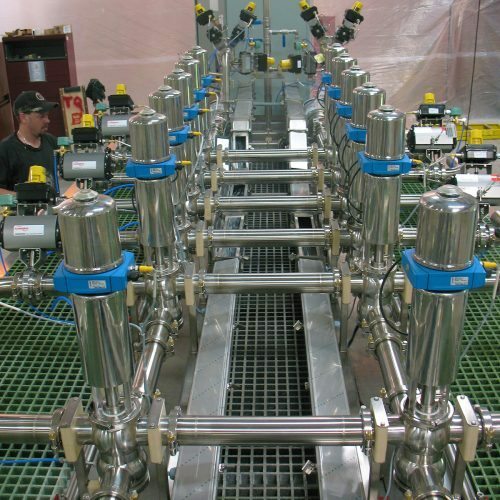 At TQ Constructors, we’re capable of designing, fabricating, and installing high-purity systems for the pharmaceutical, food, and beverage industries. This includes installing systems to ASME B31.1, B31.3, and BPE B 31.3 codes. We also have a qualified procedure for welding AL6XN, with certified AL6XN welders on staff. Additionally, we offer an in-house clean fabrication facility factory-acceptance test (FAT) procedure, which can be tailored to fit specific customer needs.